Wakefield spend many years in Chicago working for and heading up various gay and AIDS agencies. His organizational involvement included Howard Brown Health Center and Test Positive Aware Network. 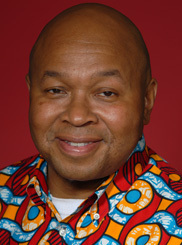 He also was a critical part of Chicago Black Lesbians and Gays, including when it marched in the Bud Billiken Parade. He was a founder of Chicago Black Lesbians and Gays, Strike Against AIDS and Bringing Our Hearts Together. He was the first openly gay person appointed by Mayor Richard M. Daley, to the Chicago Department of Health Board. He works on international HIV vaccine issues from his new home base of Seattle.